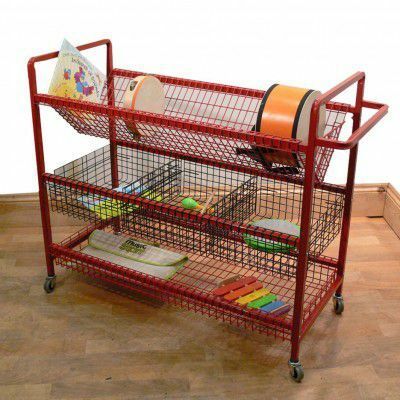 Versatile storage trolley is suitable for stringing musical equipment. Steel; trolley with a powder coated finish and durable castors. The top section is V-shaped. There is also 3 baskets in the middle and a large bottom tray.